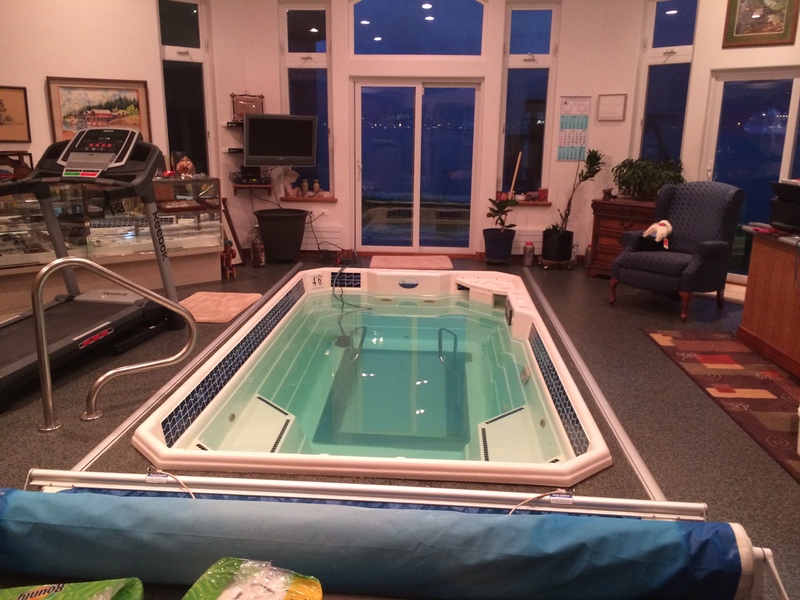 I want to thank you for your assistance in supplying a great system and help to replace and renew part of the surface of a swim spa installed in a home in Alaska. 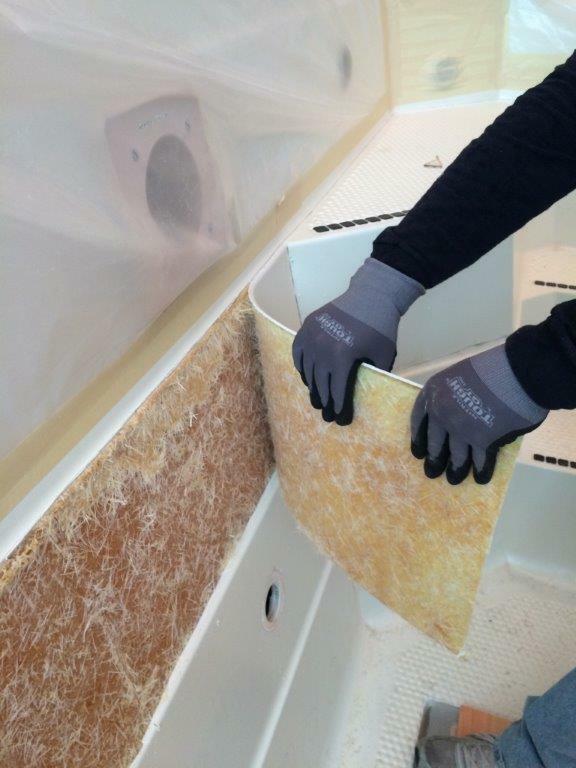 The spa was originally produced from a co-extruded polymeric sheet with fiberglass reinforced resin for mechanical support. 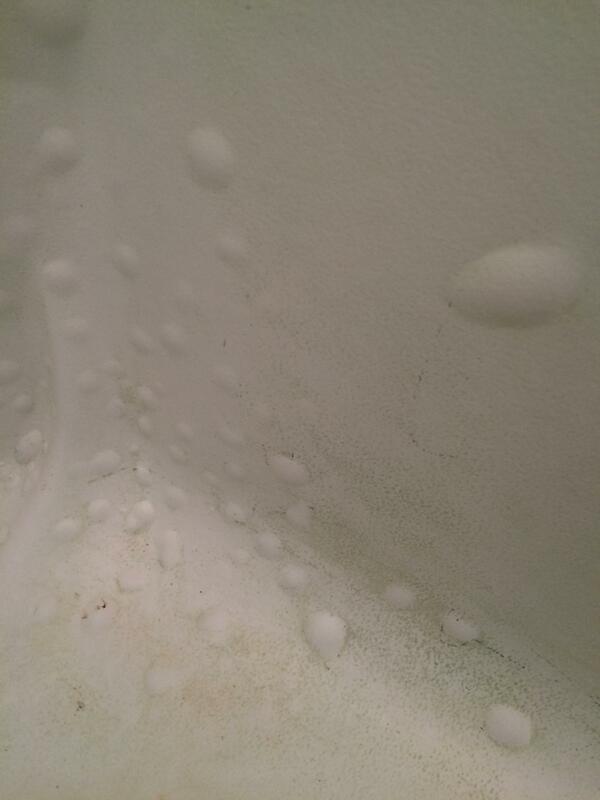 Due to the presence of un-cured resin in the support structure, blisters had occurred around the bottom of the spa. They were too numerous and widespread to repair with your standard procedure. Furthermore, as the picture below shows, it would have been very expensive to remove and replace the entire spa You can also see a photo showing some of the blisters.. These blisters were located only around the lower portion of the spa, so your procedure for renewing a portion of a spa surface was ideal for this job. As your procedures state, we created a line of demarcation establishing the boundary of the material to be removed and replaced. Then we stripped this top layer from the spa with the aid of a chisel and hammer. We removed the entire bottom of the spa. 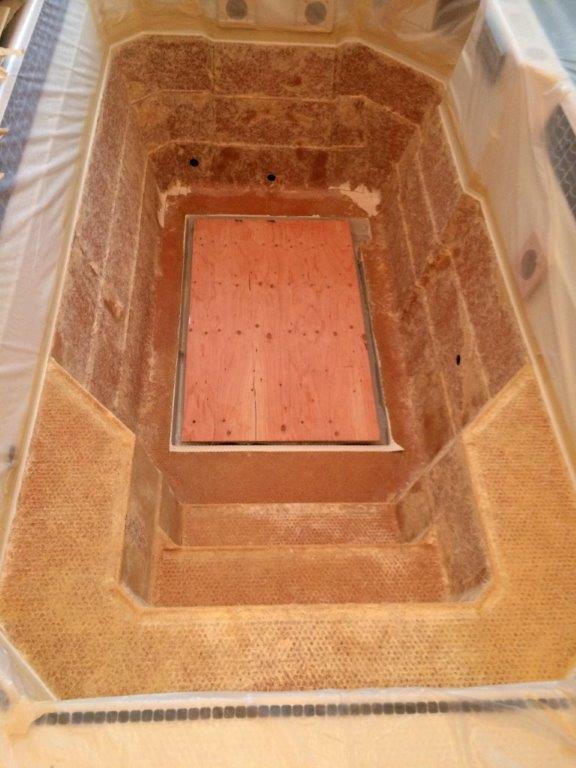 Then we applied new fiberglass mat and resin using your FRL Kit to the affected surface. See photos. We completed the job following your recommendations using the products in your kit. The following photo shows the final result. The home owner was ecstatic about the appearance, and our ability to repair it without the demolition of replacing the entire spa. 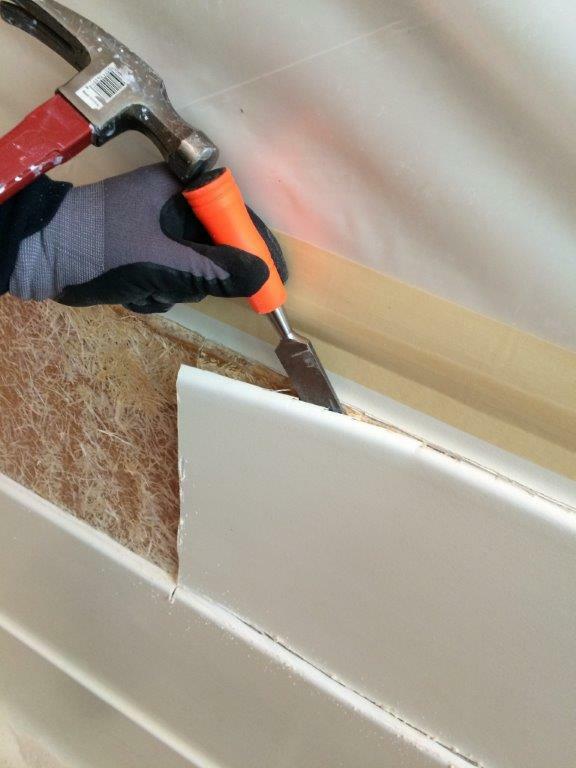 I want to thank you for your testimonial on our FRL (Fiberglass Reinforced Lining) System. 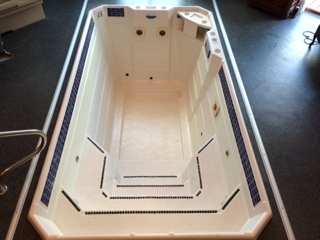 It was designed especially for this application, and we have had many satisfied customers including the San Diego Padres baseball team where the spa in their locker room was renewed. 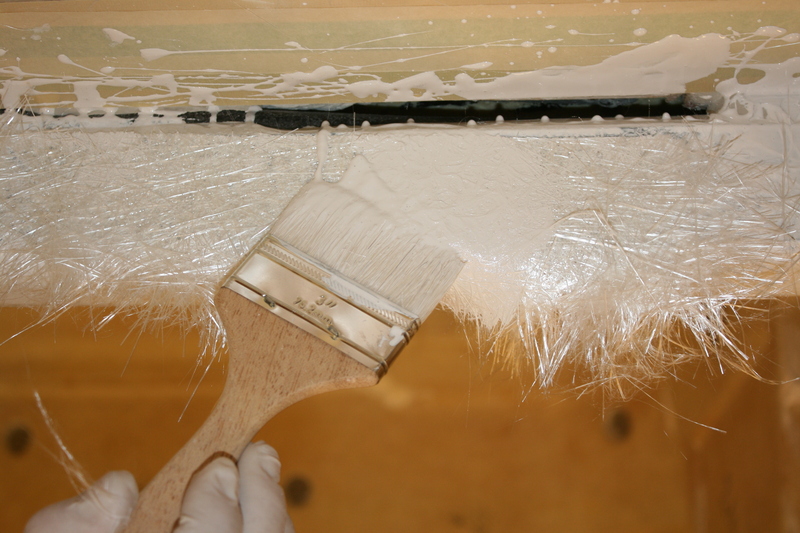 We also want to thank you for trusting and using all of our products to repair spas and bathtubs made from acrylics, gelcoat, and other materials.